Hello everyone. 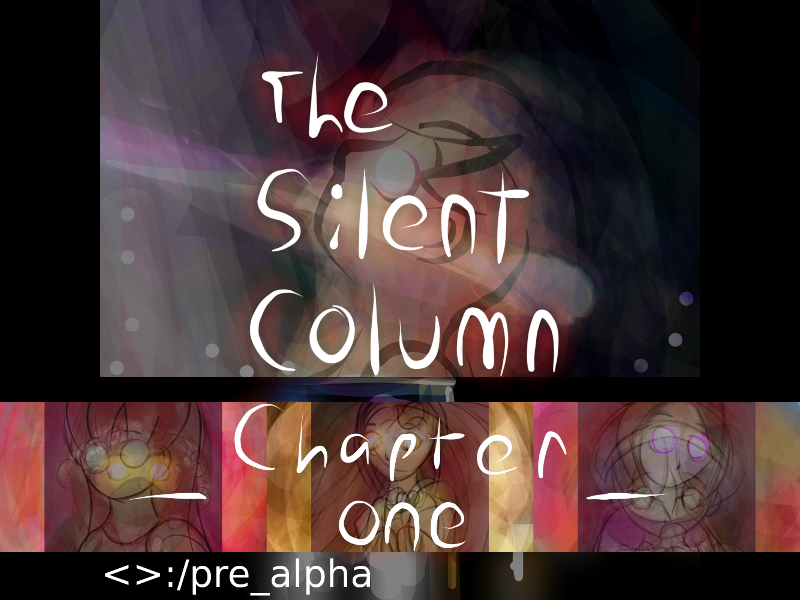 I've finished the pre-alpha of the first chapter of The Silent Column. If you play it, I hope you enjoy. It's a visual novel that has science-fictional, supernatural, and mysterious themes. You can read more about it on the page. Doki Doki Literature Club! community · Created a new topic Monika makes my heart go doki doki. I used Ren'Py to delete the persistent data and it let me choose a new name when I started a new game. It's fun. :) I think it could be improved by having a proper win and loss screens which would stop you from playing and let you restart/start the next level with a simple press of a key to not break flow. Perhaps a start screen could also be done in a similar fashion, and on which the effects of each colored block could be displayed. Also, moving with the wasd keys is a good thing to teach students how to do but there wasn't any real need to move in game. Still a great game, especially as a project for students.